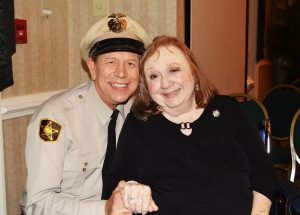 Fans of The Andy Griffith Show know her best as Thelma Lou, the steady sweetheart of Barney Fife, but she occasionally answers to her real name, Betty Lynn. Ms. Lynn adopted Andy Griffith’s hometown of Mount Airy, NC as her own almost a decade ago. 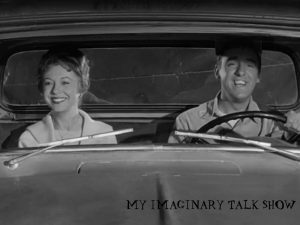 It was there, at the annual Mayberry Days Festival, that I had the pleasure of meeting her. Hold on to your hats, Mayberry fans, because this is BIG! As any good imaginary talk show host would do, I took the time to do a little research on my first very real guest. 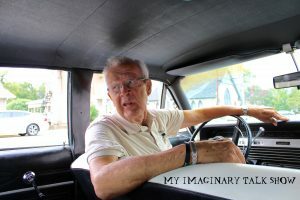 I discovered my best source of information to be Melvin, the gentleman who took Landon and me on a squad car tour of Mount Airy. Melvin was a wealth of information, as he has been friends with Betty Lynn for several years. One Friday a month, Ms. Lynn spends time at the Andy Griffith Museum, talking to fans and signing autographs. Melvin insists he has never heard a single person in town say anything negative about her. Yes, Melvin, I do understand how rare that is. He said, several times a year, he gets a call from Ms. Lynn asking if he has time to take a drive. That’s a sign she has a visitor in town–normally an actor friend from Hollywood or Broadway. On those occasions, Melvin doesn’t need to play tour guide and point out the local sights. On those days, he just drives and listens. 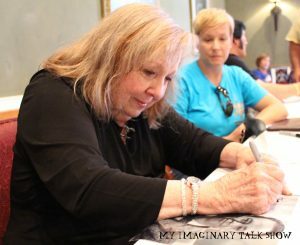 I took a cue from Melvin and did my level best to listen more than I talked, while in the presence of Betty Lynn. 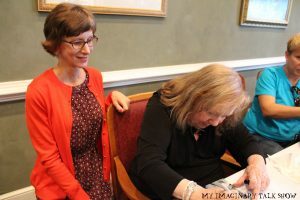 She has traveled with the U.S.O., performed on Broadway, starred opposite Robert Young in her film debut, been a co-star to Bette Davis in two movies, and acted in several other films and numerous television shows. 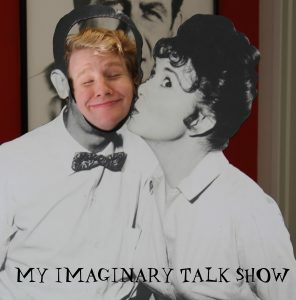 But most people want to hear about her days on The Andy Griffith Show, so that will be the focus of this interview. In case you’re curious, Ms. Lynn has the softest skin I have ever felt. 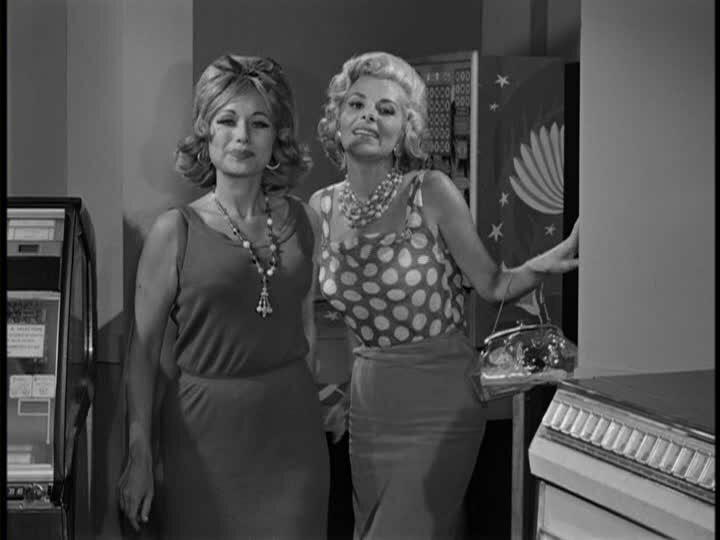 In that case, the role of Thelma Lou made Betty Lynn an incredibly wealthy woman. Can you believe it’s her? 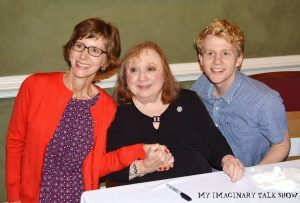 One of Betty Lynn’s favorite restaurants in Mount Airy is called “The Loaded Goat,” after The Andy Griffith Show episode of the same name. She still gets tickled talking about it. I’m just going to stare at you for a while, if that’s okay. “I’m very grateful. And thank you for coming every year that you can. I’ve talked to a lot of people that it’s their first time. Or they came last year and this is their 2nd time. So, keep it up if you can. 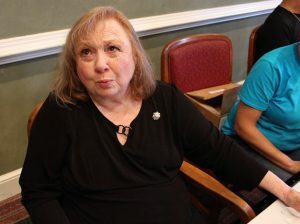 The following day, Ms. Lynn spotted Landon at the Mayor’s Proclamation and called him over to her. There, they had their own little lovefest! When he insisted that he loved her more, she said, “You can’t love me more.” At home, Landon confessed that he believed she was right. She loves her fans with every fiber of her adorable being. 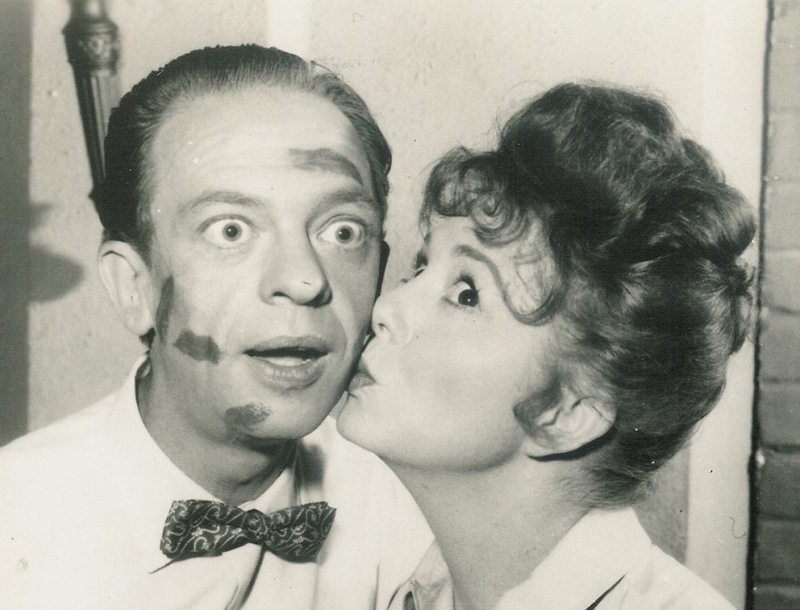 Personally, I’ve always thought Barney Fife was a fool to let his steady girl slip through his hands because, to quote him, “Thelma Lou, you’re the cats.” Thelma Lou was the cats, and so is the actress who played her. Well, she *is* the cats! I am sooooo happy for you and Landon! Thank you, Susan. It was a ball! Goosebumps! I had goosebumps as I read this!! For once I didn’t turn into Lucy Ricardo. She is so very sweet and puts everyone at ease. 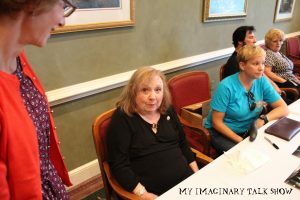 I so enjoyed your description of your visit to Mayberry and Thelma Lou! Thanks for sharing! Thanks for stopping by, Brita! I’m glad you enjoyed.